I am no expert on grasshoppers, we hear them singing here on summer nights, and when we mostly see them they jump out of the way pretty quickly. And they are usually brown. 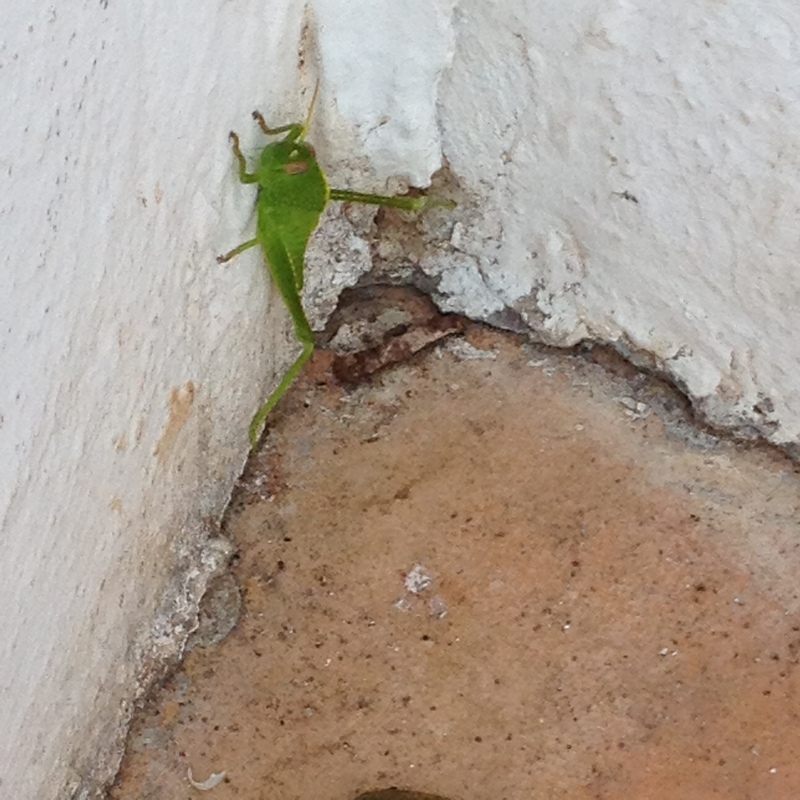 This one was different… bright green. 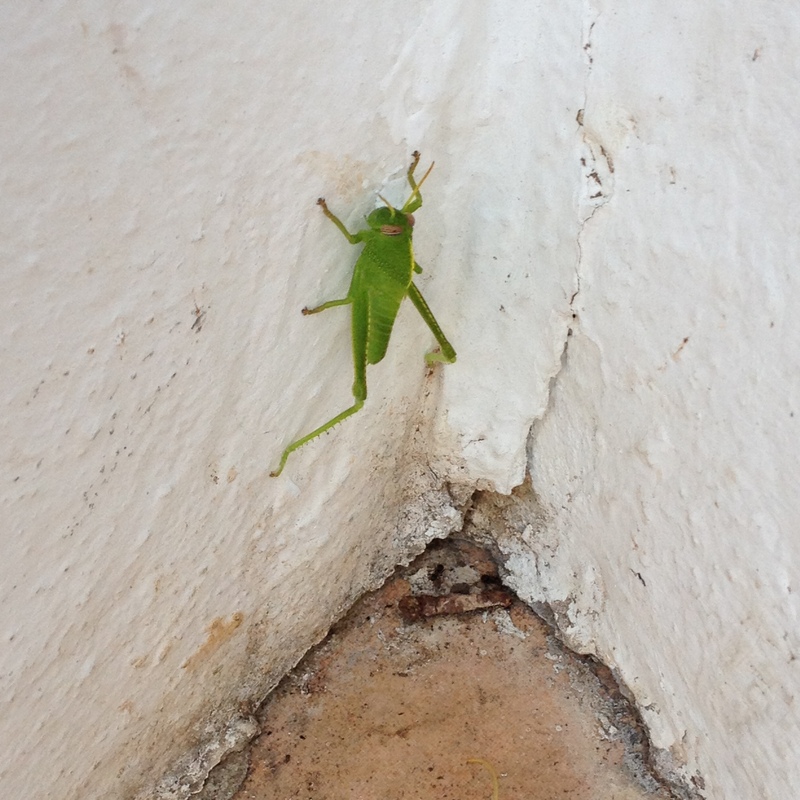 After perusal of our Insects book, I decided he was a Leptophyes Punctatissima from the Katydids family of bush crickets and long-horned grasshoppers. Except his horns were short, as if he’d had an accident. 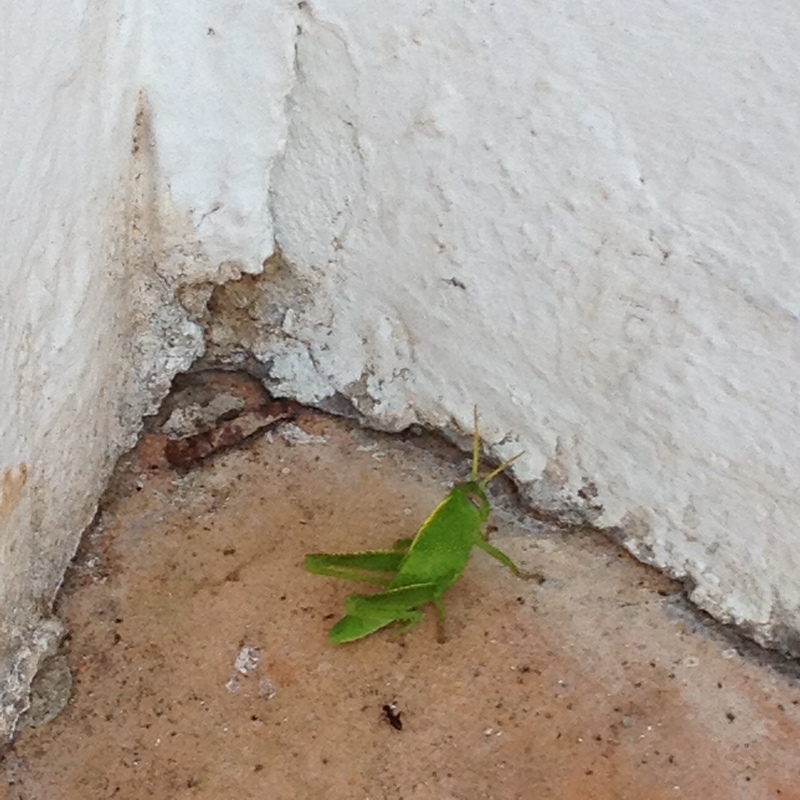 He was the only bright green grasshopper in our book and, apart from the shorter antennae, he was identical to the photograph. Below is what Leptophyes Punctatissima looks like, according to Orthoptera,com. I didn’t realize it is the males that sing to attract mates, they use a file-and-scraper system at the base of their forewings. 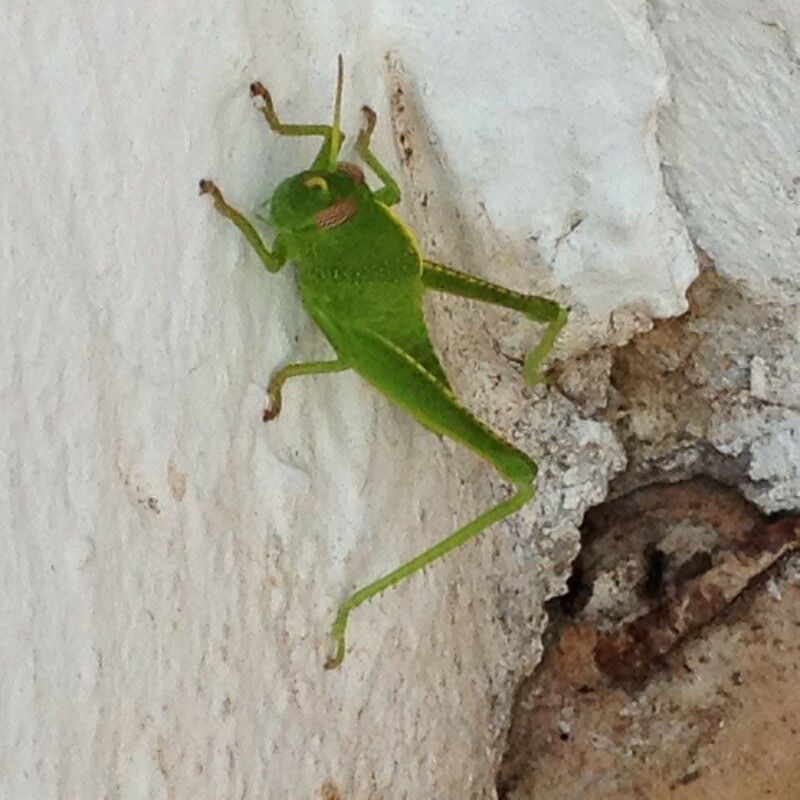 Their song sounds rather like their name Katydids – ‘Kate-she-did’. Click here to read more about Leptophyes Punctatissima at Orthoptera,com. 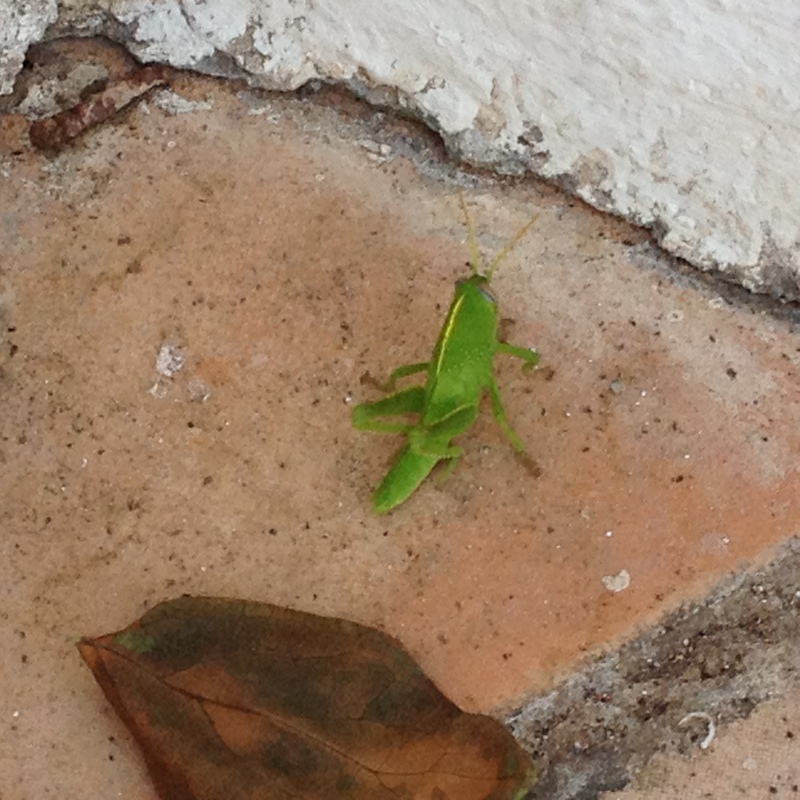 This entry was posted in Nature and tagged Andalucia, insects, living abroad, nature, Sandra Danby, Spain, travel on August 28, 2014 by sandradan1.